The sound momentum of China’s economic growth is the result of China’s commitment to reform and innovation in recent years as well as its unrelenting efforts to upgrade the economic structure and foster stronger internal growth drivers. Hence we expect this growth to be solidly-based and sustainable in the long run. After years of efforts, the Chinese economy has undergone major transition, moving away from reliance on investment and export to being fueled mainly by consumption, the services sector and domestic demand. A good example is how China’s central bank recently dealt with Yuan/RMB volatility. The People's Bank of China reapplied to its model of a “counter-cyclical factor”. The measure effectively stabilized market expectations, thus enabled Yuan/RMB to remain at a reasonable and equilibrium level. 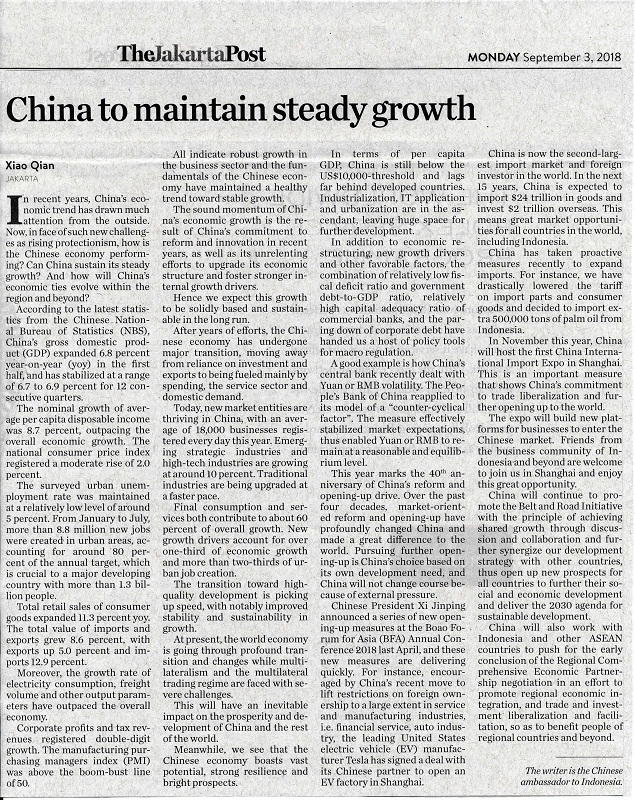 As the second largest economy, China is confident and capable of responding to various risks and challenges and keeping the sustained and healthy growth of its economy in the long term.